Crosby & District Lions Club sponsor the board and repair it but we are not involved with booking dates for its use. George Astbury 0151 521 7872. 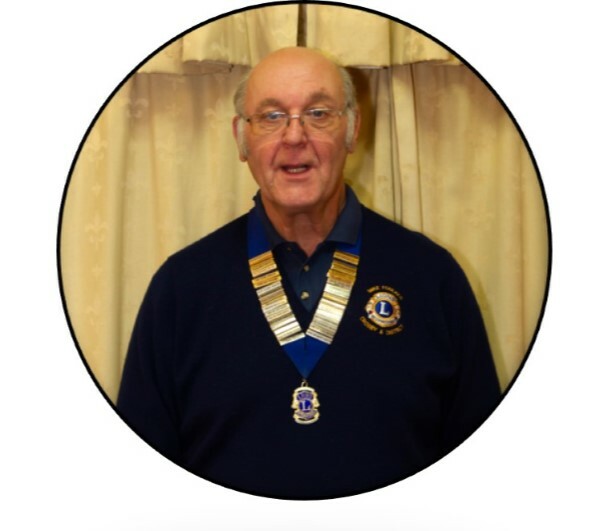 As the current President of Crosby and District Lions Club I welcome you to our website. Crosby & District Lions Club is a member of Lions Clubs International (Multiple District 105 - British Isles) and is part of the largest service organisations in the World having 1.4 million members in over 200 geographical areas worldwide. As members of a Lions Club we volunteer our time and skills to provide service to try and meet some of the needs that challenge communities. By doing this we enjoy the Fun and Friendship of serving the community at Local, National and International levels. We have recently begun a new recruitment programme, seeking men and women who are interested, willing and able to give some of their time in helping others whilst having a great deal of fun and lively banter at the same time. If you feel you may be interested in finding out a bit more about being a Lion, or finding out what we do, use the links below, speak to any Crosby Lion at one of our many activities locally or use the 'Contact us' page to get in touch. Thank you again for visiting our Club website and I hope you find some things that may be of interest to you. Our Centennial Celebration brings Lions together to celebrate 100 years of life-changing humanitarian service. Having started with the kickoff in July 2014 and ending in June 2018, Lions in clubs around the world will join in the celebration by expanding our community project work and inspiring others to join us in service. Who are the Lions? Lions are an international network of 1.4 million men and women dedicated to making a difference locally and globally. What do Lions do? Lions strive to meet the needs of our own community and the world, ranging from assisting the visually impaired and working with local youth to medical missions and disaster relief. How are Lions relevant to today's world? Since 1917, Lions have met the needs in their communities and continued to try to improve the areas in which they live. As long as there are needs around the world, we will work to meet those needs. How do I become a Lion? If you are interested in becoming a Lion, contact us (see the Contact us page) and express an interest in learning more. Are there women Lions? Yes. Women are the single fastest growing segment of Lions. I would like to volunteer in my community but why should I do so as a Lion? Lions endeavour to meet the needs of those in our own communities as well as around the world and we have fun doing it. Working together locally and internationally, the worldwide network of Lions has vastly more resources and is able to accomplish much more than individuals and small groups working alone. Please look through our website to find out more about who we are and what we do within our area. If you wish to find out a little bit more about Lions Clubs International and their world-wide involvement, without ploughing through a whole website, then click on either/both of the following links for brief but informative videos. Earlier this year, Lions Clubs International Foundation (LCIF) reached a monumental milestone: LCIF has awarded more than US$1 billion in life-changing grants since its founding in 1968. Though these grants, Lions and LCIF have been able to provide hope and dignity to millions of people who need it most. Thanks to the generosity of Lions and partners, they have helped communities recover from disaster, they have empowered our youth, saved sight, and much more. Providing vital details in an emergency... because every moment matters.